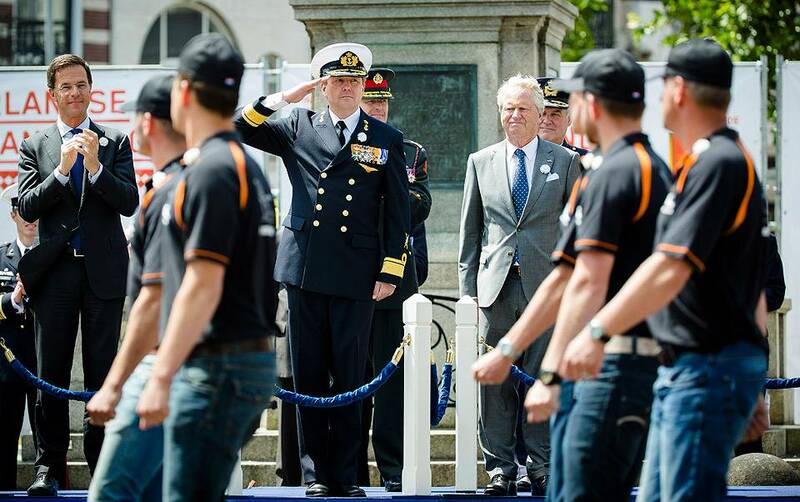 The Dutch Veterans’ Day Committee has been organising the annual Veterans’ Day since 2005. The day includes a march past in the centre of The Hague, reviewed by King Willem-Alexander. Marching veterans in the centre of The Hague, reviewed by King Willem-Alexander. Veterans’ Day is a national event aimed at increasing recognition and appreciation for veterans and promoting mutual understanding between them and the Dutch public. Veterans are either former military personnel who have served in war situations or peace operations, or military personnel on active service who have been on deployment abroad. The first Veterans’ Day, in 2005, was held on 29 June, the birthday of the late Prince Bernhard. Prince Bernhard was held in high esteem among veterans on account of his role in the Second World War. The Prince of Orange was a member of the Committee from February 2004 until his investiture as King, and from January 2005 until his investiture he was also patron of Dutch Veterans’ Day. Before the march past, a private ceremony is held in the Knights’ Hall (Ridderzaal) and decorations and commemorative medals are presented in the Binnenhof to military personnel who have recently returned from deployment. Veterans’ Day concludes with a large gathering on the Malieveld. From 2009, Veterans’ Day has always been held on the last Saturday in June.